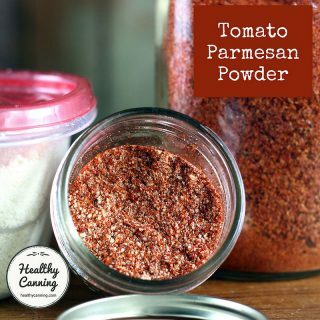 When can you change the jar size that a tested recipe calls for? 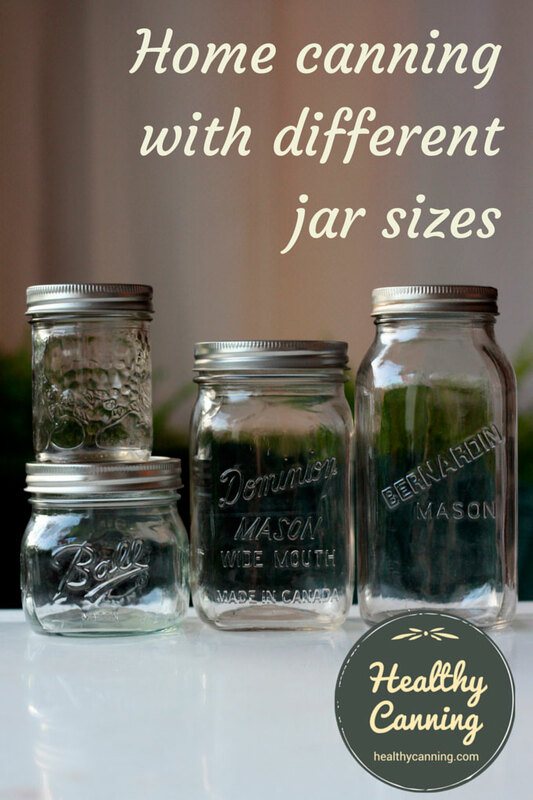 You can use smaller jars than a tested recipe calls for, but not larger. 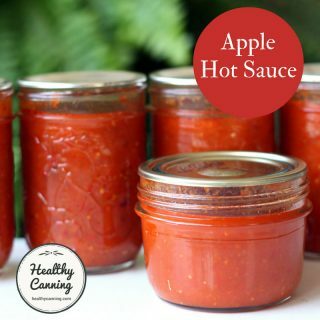 You can’t use a larger jar than the recipe indicates. 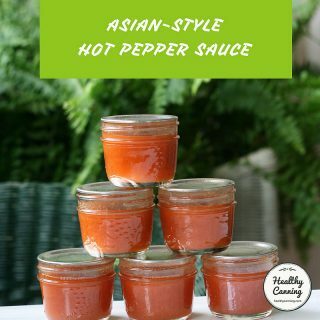 The reason is that larger jars usually requires a longer processing time for proper heat penetration to the food in the centre of the jar, and thus would require a longer tested and and verified processing time to ensure quality and food safety. You may always use a smaller sized jar, but it is not recommended to use a larger jar.”  Treiber, Lisa. Jam and jelly season is here! Blog posting 1 July 2016. Michigan State University Extension. Accessed July 2016. When you use a smaller jar, process for the same processing time as for the suggested jar size, unless a separate processing time for the smaller jar is given. 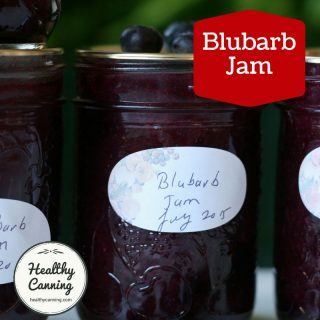 Processing times have not been developed for many foods in half-pint, 12-ounce or 24-ounce (one and one-half pint jars.) If the recipe does not specify processing in one of these jars, process half-pint and 12-ounce jars for the same time as pints. Jars that hold 24 ounces (one and one-half pints) will need to be processed using quart jar times.”  Andress, Elizabeth L. and Judy A. Harrison. So Easy to Preserve. University of Georgia Cooperative Extension. Bulletin 989. Sixth Edition. 2014. Page 23. 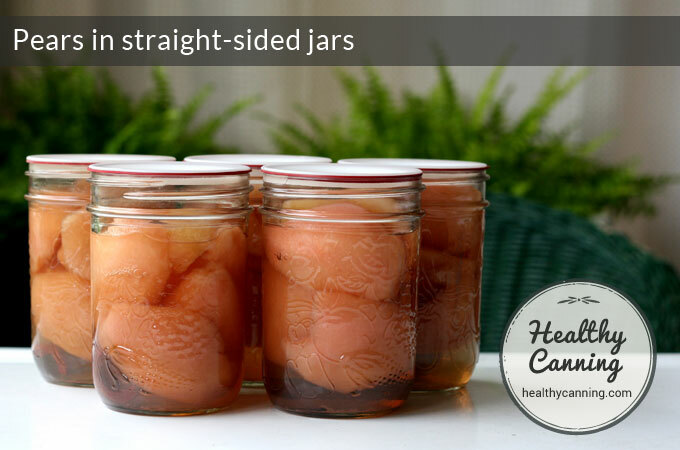 Wide mouth jars are great for things like dill pickles, whole beets, chicken breasts, pear halves, etc, as it is easier to pack the food in nicely. Regular mouth jars (usually with the shoulders, narrower mouth) are better for things you want to pour out, like soup or chili. They are also fine for relishes, chutneys, etc. 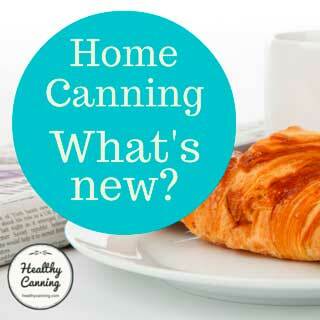 The shoulders can help to push foods down under the canning liquids. Often, there is a up to a 50% cost premium for wide-mouth jars, so that can be a factor that overrides the above two considerations. Note that width of the mouth of the jar is independent of the volume of the jar: there is no correlation. You can use whatever mouth size you want for a recipe. 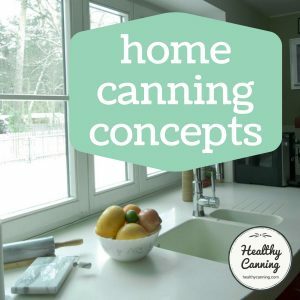 Note that mouth size does not affect the processing time for either water bath processing, steam canning or pressure canning. Mason jars either have shoulders, or are straight-sided. Straight-side jars can be easier to pack. 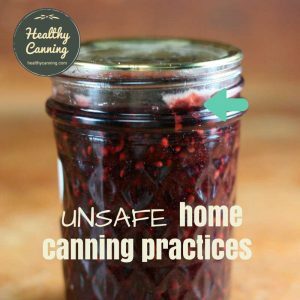 They are also easier to clean when emptied: this can particularly matter if you have canned meat. They are often a bit pricier though. Straight shoulder jars are freezer safe. Neither Ball or Bernardin support freezing in shouldered-jars. They are prone to shattering in the freezer because the expanding frozen contents press up against the shoulders. Leave sufficient head space for the food to expand: 1/2 inch (1 cm) for freezer jams in 125 or 250 ml size jars. 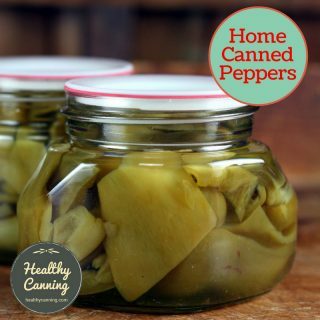 1/2 to 1 inch (1 to 2.5 cm) for larger jars, depending on the type of food. Foods with higher water content expand more than foods with dense texture.” Freezing with BERNARDIN® Mason Jars. Jar side formation — whether straight or shouldered — does not affect the processing time for either water bath processing, steam canning or pressure canning. 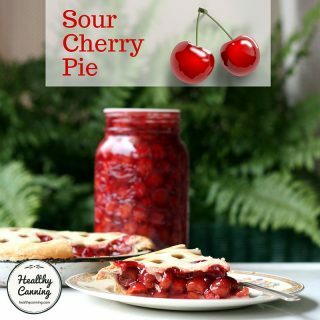 The current advice (as of 2017) is to use this size of jar in shelf-stable home canning only for two highly-acidic juices: apple juice, and grape juice. It’s ideal as well for batches of refrigerator pickled onions and pickled eggs, etc, as well as for dry storage of pulses, grains, etc. 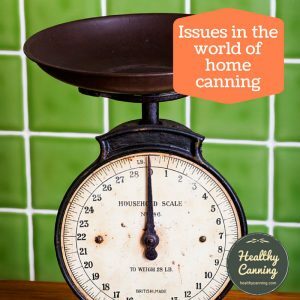 Historically, the USDA and others had released guidelines for home canning in this size of jar. They have changed their minds, though, and withdrawn all the recommendations and now advise against it except for the two juices.”  Penn State Extension. 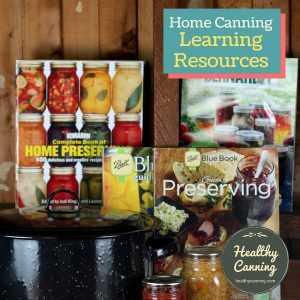 Canning With Half Gallon Jars. Accessed January 2015. So, to be clear: for food preserving uses, you can use this size of jar for canning apple juice and grape juice. OR, use them for storing dried goods in. 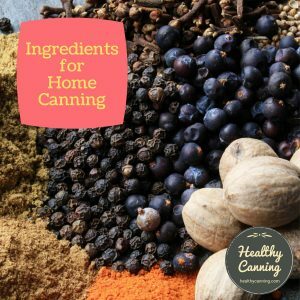 There is no home-canning use beyond those two juices. Ball and Bernardin do support home canning three tomato products in 1 1/2 litre (quart) jars. It is covered in the Ball / Bernardin Complete Book. See dedicated piece on that. 1. ↑ Treiber, Lisa. Jam and jelly season is here! Blog posting 1 July 2016. Michigan State University Extension. Accessed July 2016. 2. ↑ Andress, Elizabeth L. and Judy A. Harrison. So Easy to Preserve. University of Georgia Cooperative Extension. Bulletin 989. Sixth Edition. 2014. Page 23. 6. ↑ Freezing with BERNARDIN® Mason Jars. 7. ↑ Penn State Extension. 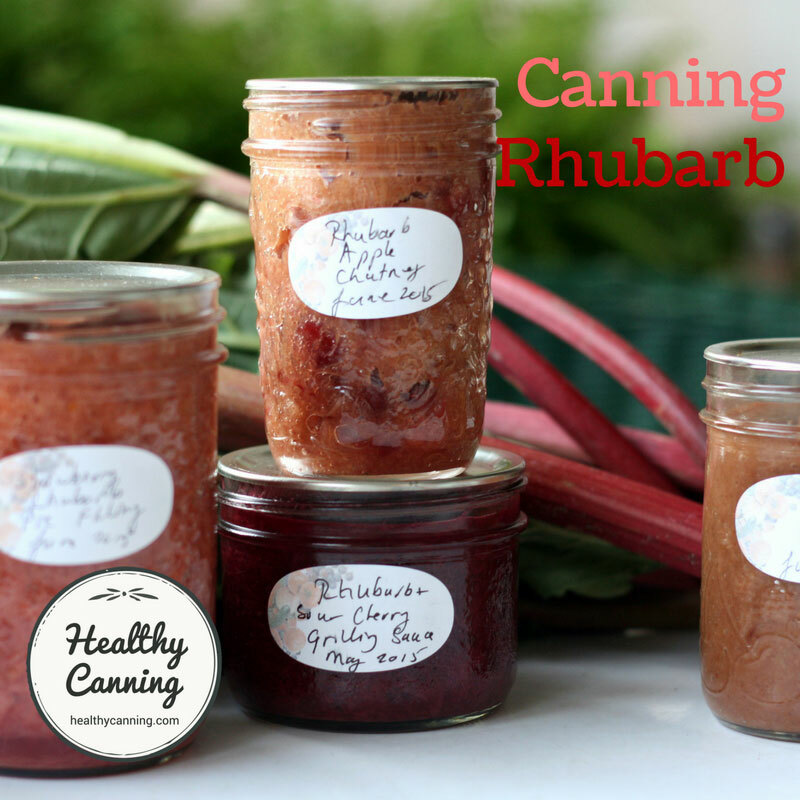 Canning With Half Gallon Jars. Accessed January 2015. Largest tested size is 1 quart (litre). 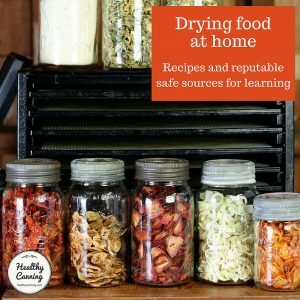 Save your 1/2 gallon jars for storing dried goods in. Thank you for specifying that wide mouth and standard mouth jars take the exact same processing time. You would be amazed how many websites I searched before finding yours. I haven’t used wide mouth jars before, but have quite a few of them that need to be utilized rather than buying standards. Thanks again! You are welcome Shelley. Wide mouths are certainly easier to pack certain foods into as well, eh? Thanks for stopping by!